Of happenings. Pulled the rear axle today since I was off work. 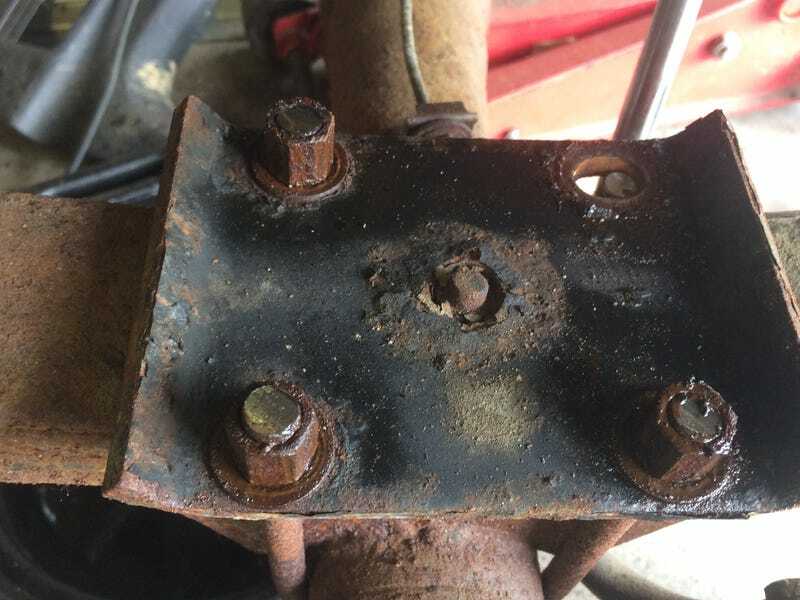 I’m going to go with the POR15 route but before that I’ll take it to an off-road shop to have them checked out before paint if I have to reweld the shock mounts ( see photo) bilstien 5150’s should have a bit more up travel I think. And need bump stops. Also going to need new U-bolts.